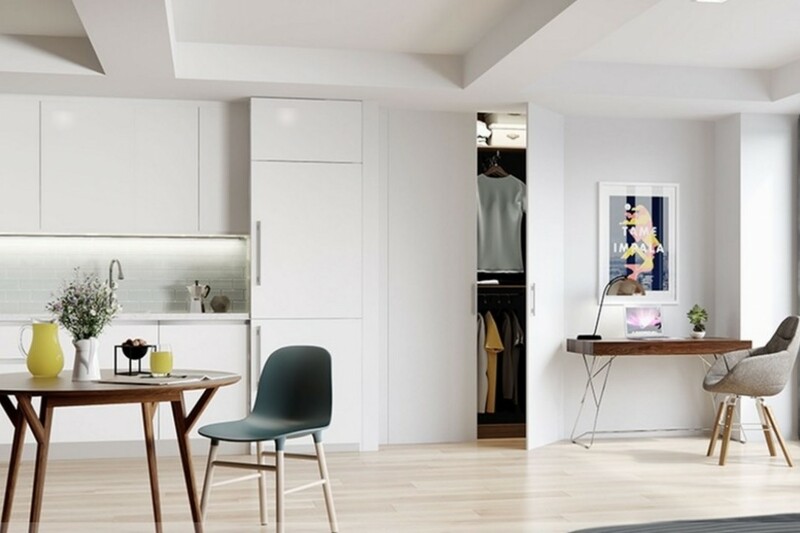 East Harlem studio, one-bathroom condo, $430,000: Located at 51 East 131st Street (between Madison and Park Avenues), this alcove studio offers a linear kitchen with stainless steel appliances, a vented washer and dryer, oversized windows, white oak floors and a balcony. Amenities of the condo building include a virtual doorman, a landscaped garden, a resident lounge, bike storage, a pet spa and a fitness center with a yoga area. Have $500,000 to purchase your very first apartment, but aren’t sure what kind of unit would give you the best bang for your buck? Kobi Lahav of Mdrn. Residential, Morgan Turkewitz of Compass, and Helen Scott Ching of Douglas Elliman give you some guidance in this week’s Buy Curious. I have a $500,000 budget for my first apartment. Should I get a studio? A one-bedroom? What/where are the best investments? What can you get with $500,000? 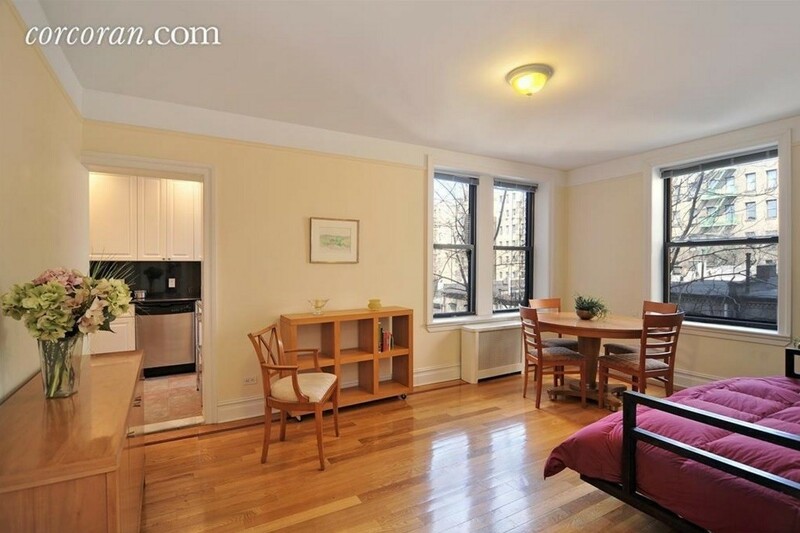 “For $500,000 I recommend getting a one-bedroom or a studio,” says Douglas Elliman’s Ching. “In New York and other big cities, studios and one-bedrooms are more desirable because they are easier to sell and sublet if you choose to do so” later on. If you need a larger space, but won’t (or can’t) go over your proposed budget of $500,000, Lahav says you still have a few options. First, you should “consider looking at HDFCs, which are co-ops with income restrictions. These can be found all over the city and are priced under-market, so a two-bedroom could be around $500,000.” The buyer needs to make sure his or her income is under the maximum allowed, however. Next, he suggests checking “areas where there are early signs of development activity.” Is new construction imminent in the neighborhood? Are there upscale grocery stores or coffee shops popping up? You might be able to get in early and buy a bigger place at a fraction of the price of what it would be in more well-established locales. Which is the better long-term investment—a studio or a one-bedroom? “One-bedrooms have a higher resale value compared to studios and thus hold higher long-term value than studios,” says Lahav. “Studios represent a limited growth potential as first-time buyers understand that they will quickly grow out of it,” he says. For Turkewitz, the issue isn’t as clear-cut. “The answer isn’t black and white,” she says. “A one-bedroom is typically a better long-term investment. I find that people often like the separation and being able to shut the door—especially if they are living with someone or have guests staying over. That said, if you are able to purchase a smaller apartment in a building with more liberal sublet policies, that may be the way to go if you are looking to hold on to the property and rent it out,” she says. Our experts differ here: Lahav believes that a buyer in this situation should be looking into co-ops. “Co-ops are, on average, 25 percent cheaper than condos, which will allow [a buyer] to get a bigger, nicer space.” Also, “co-ops retain value better than condos,” he adds. However, Turkewitz urges co-op caution. 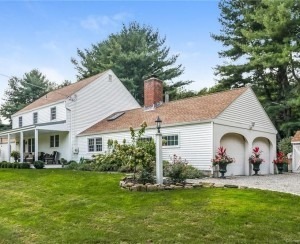 “If you go the route of co-ops, there are many policies that you may or may not know about that can disqualify you from purchasing,” she says, noting that there can be rules disallowing co-purchasing, gifting, and pieds-a-terre, which may definitely affect a first-time buyer with generous parents who are trying to help them out. Ching agrees, saying that she’d “recommend a condo rather than a co-op for a few reasons.” She notes that “condo board approval is very simple. You are able to purchase [the unit] with an LLC or corporation (so this is great for foreign buyers and investors). The monthly common charges are typically less expensive than a co-op’s monthly maintenance. Co-ops sometimes don’t allow parents to purchase [for their child]. 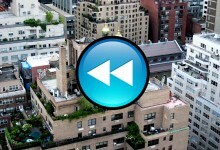 And [a condo can be] easier to sublet,” since co-ops sometimes forbid that outright or place major restrictions on it. What condition should the apartment be in? 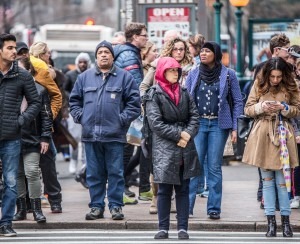 Turkewitz adds that “if space is most important, some neighborhoods that you may be able to capitalize on include the Upper East Side, Murray Hill, and the Lower East Side.” She also notes that the L train shutdown may offer an opportunity for folks to purchase at cheaper rates in a variety Brooklyn neighborhoods along the line, such as Williamsburg or Greenpoint. 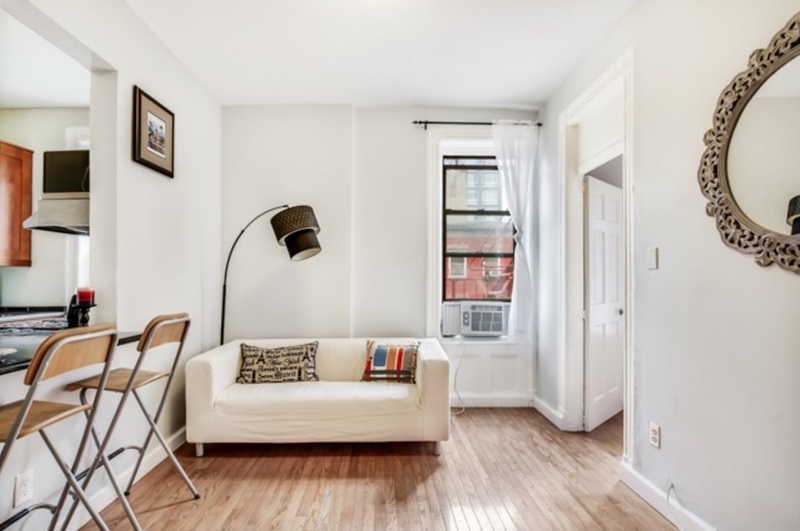 East Village one-bedroom, one-bath co-op, $425,000: This sunny unit at 327 East 3rd Street (between Avenue C and Avenue D) has high ceilings, hardwood floors, oversized windows and a stainless steel kitchen with granite countertops, and is located in a prewar walk-up building. 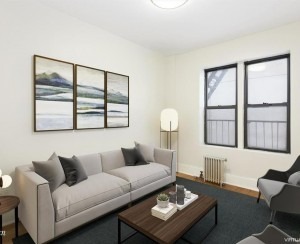 Washington Heights one-bedroom, one-bath condo, $462,000: This recently renovated one-bedroom at 801 Riverside Drive (between West 157th Street and Edward M. Morgan Place) has new windows, a windowed kitchen with stainless steel appliances and good storage. The prewar condo building has an elevator, a live-in super, and on-site laundry. 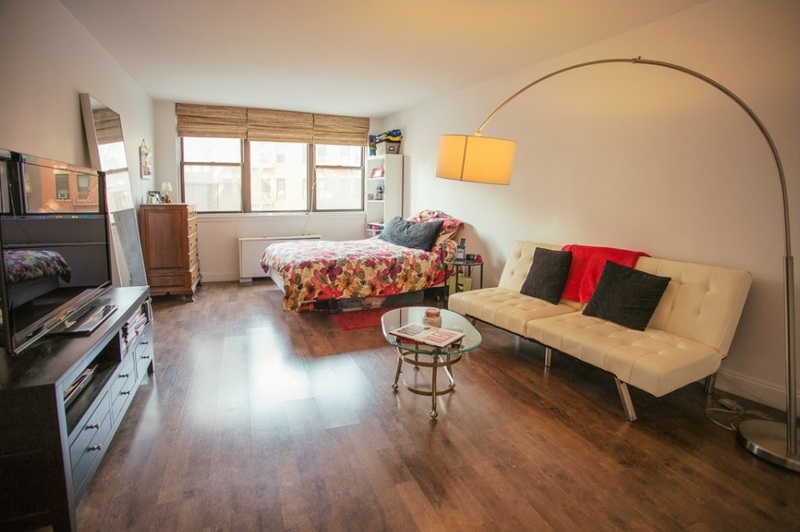 Gramercy co-op studio, $500,000: This 400-square-foot apartment at 230 East 15th Street (between Second and Third Avenues) has stainless steel appliances, through-wall air-conditioning and lots of storage. The pet-friendly co-op building offers a full-time doorman, a live-in super, on-site parking, a roof deck, bike storage, private storage, and updated laundry facilities. 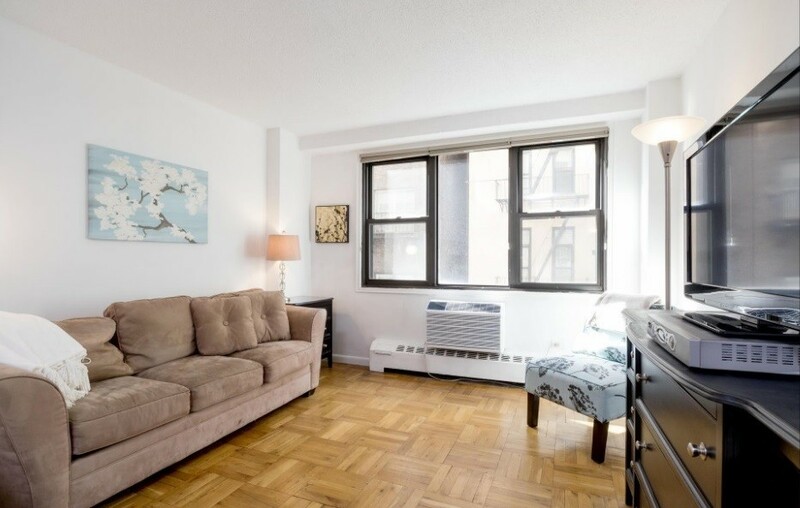 Murray Hill co-op studio, $399,000: Located at 225 East 36th Street (between Second and Third avenues), this south-facing studio has oak floors, stainless steel kitchen appliances and three large closets. Building amenities include a 24-hour doorman, a live-in super, a garage, storage, a bike room and a roof deck.